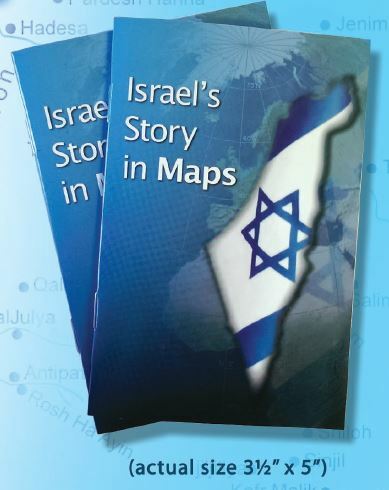 This sturdy pocket sized (3 x 5 inches) booklet contains 13 colorful maps that tell Israel’s TRUE story. Order in bulk quantities so that you can give them to friends and family! Also available in a LARGE edition that is 5 x 8 inches.